Temperature rising / falling are just achieved with a finger. Sleep mode effectively prevents dry heating. 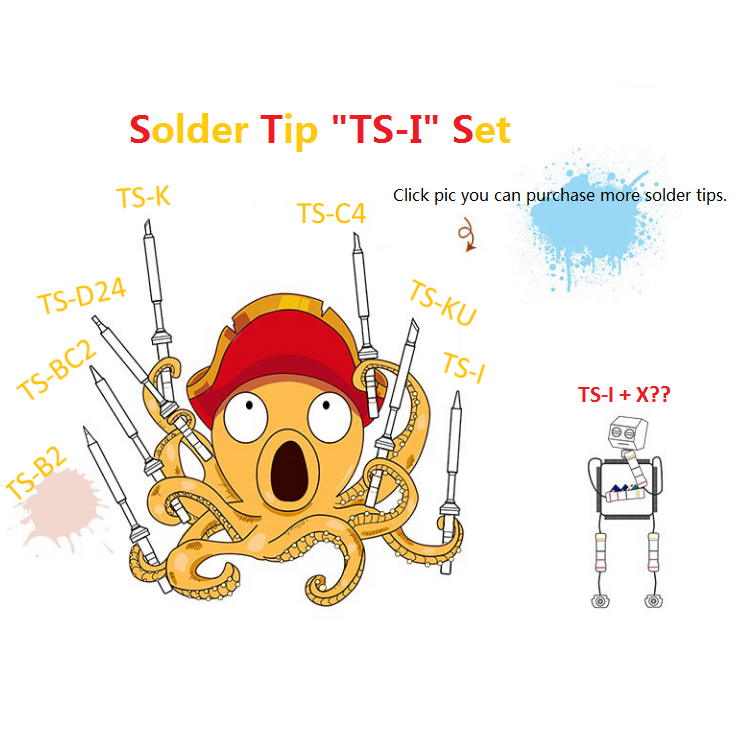 Prolong the life of soldering tip. Save more electricity. When the temperature exceeds preset highest working temperature, it will be on alert and OLED displays: Warning! 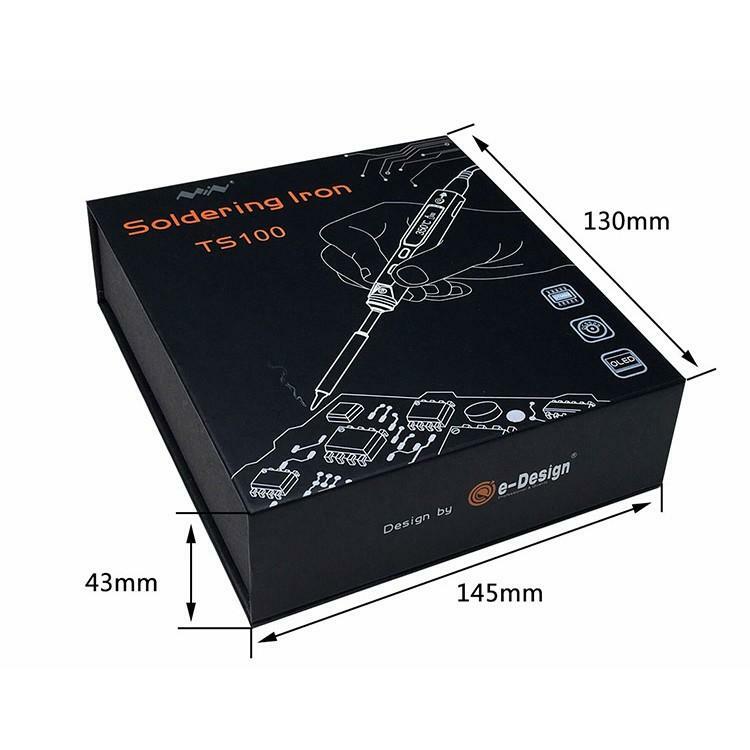 Antistatic structure with ground wire connected that makes you safe every working time. Temperature display and temperature control key built on the handle, operate become more freedom. Embedded universal interface DC 5525, perfect details shows our strength. After 10000 times striking test still steadfast. Resisting to high temperature oxidation. DC 5525 power port be compatible with DC12-24V laptop AC adapter/Power bank/Car power. Design your own temperature-rising curves. According to your own need to write APP.